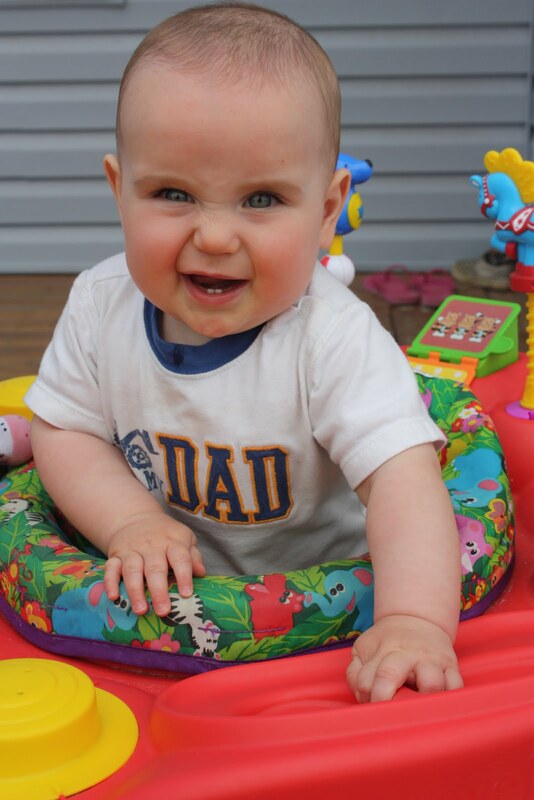 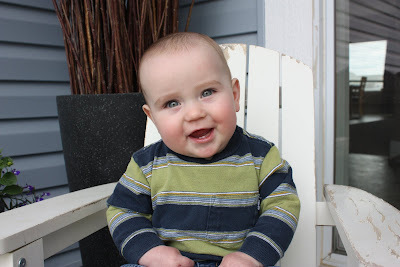 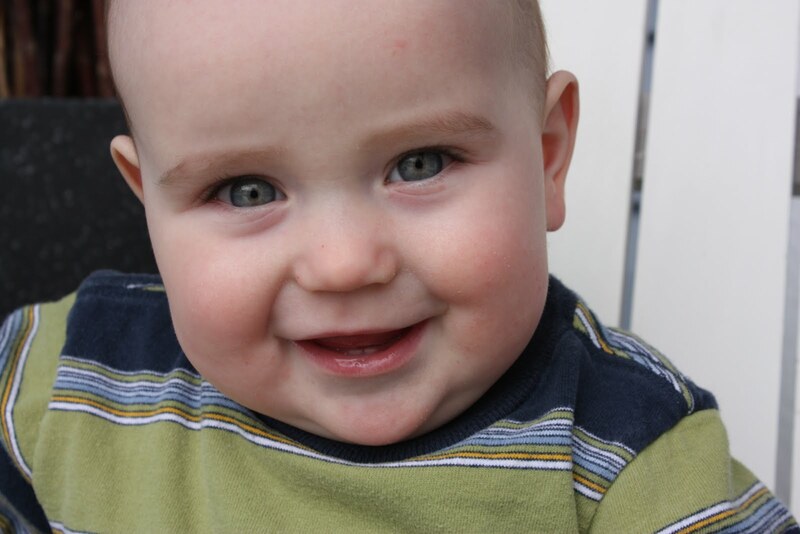 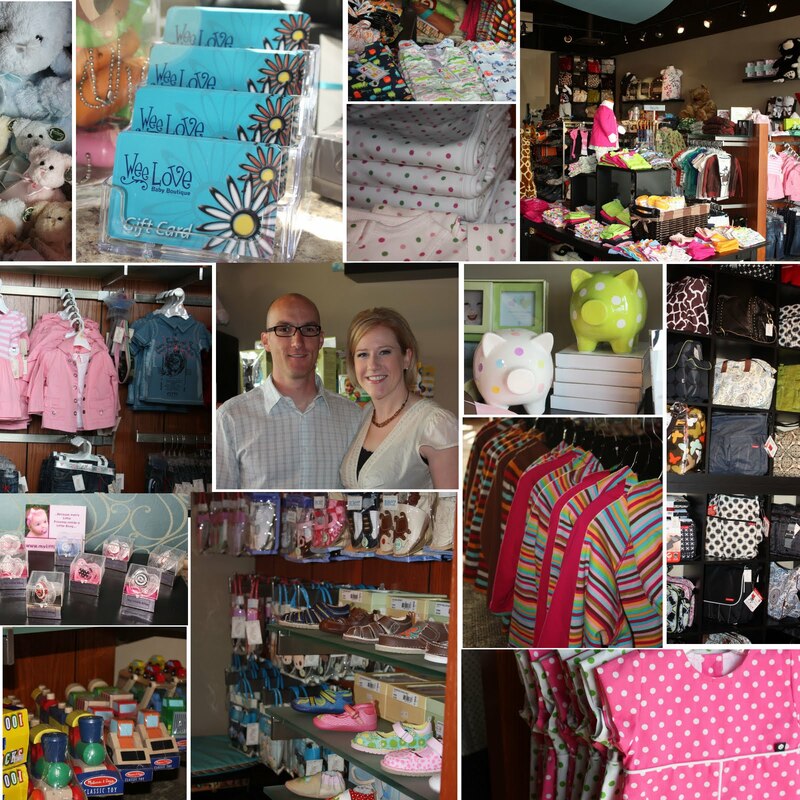 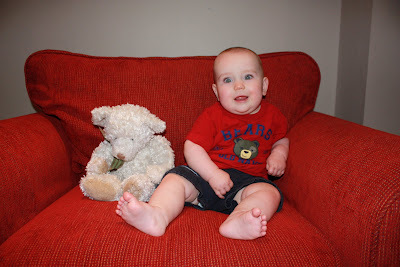 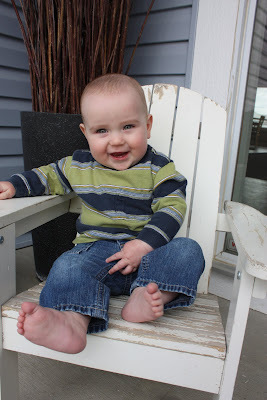 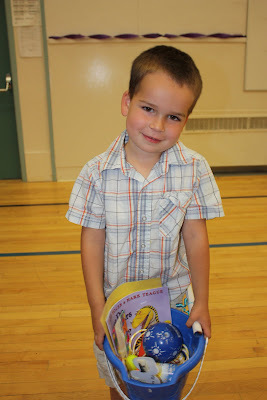 Levi is already looking forward to another year of Kleine Kinderschule!! 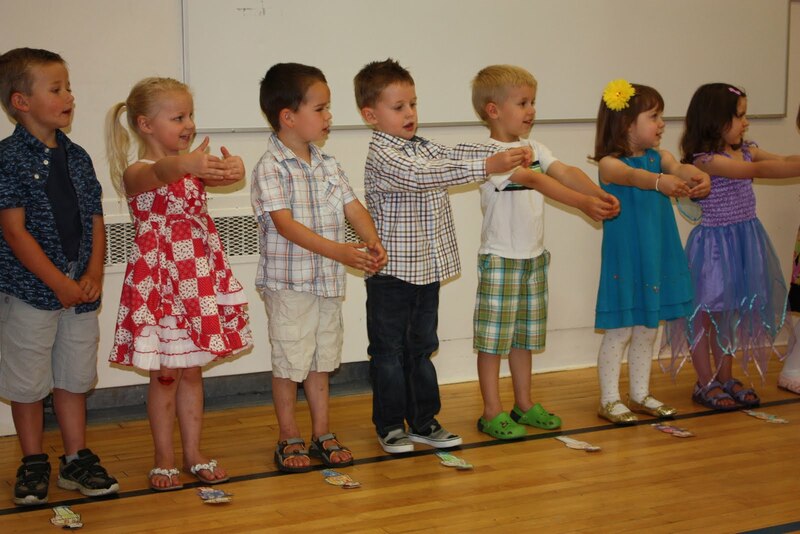 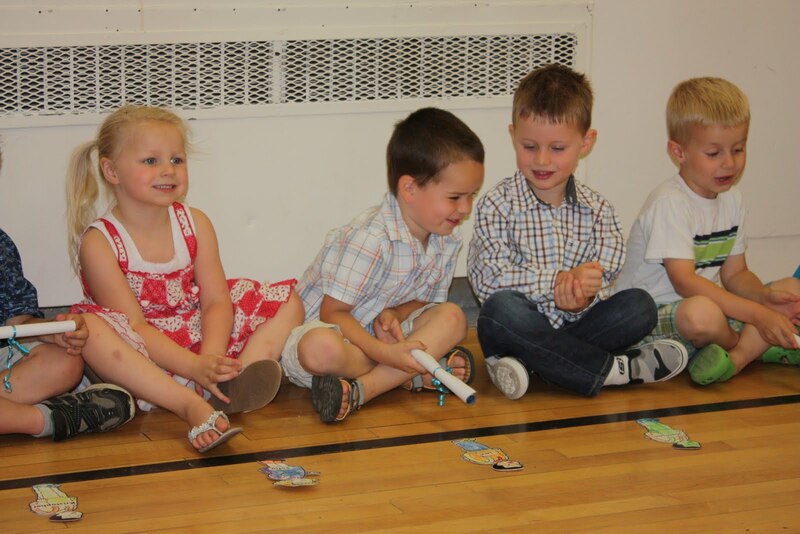 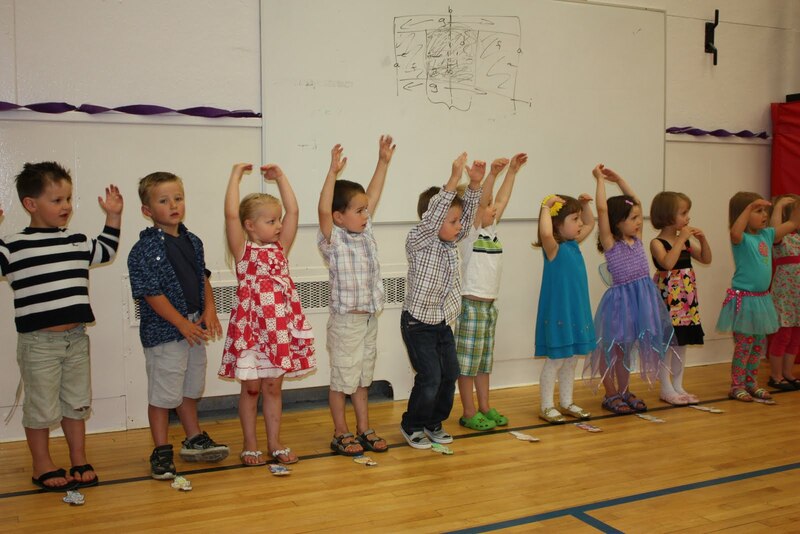 Levi just had his end of the year concert with a graduation for the kids moving on to kindergarten. 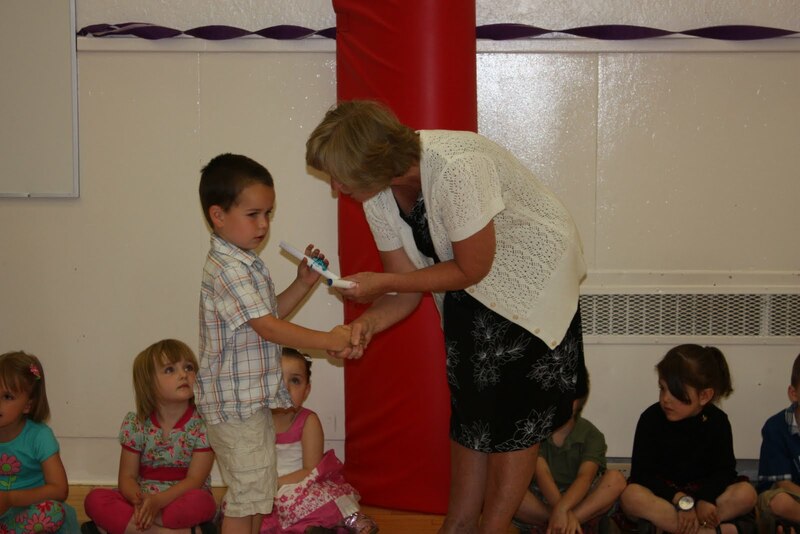 Here are a few pictures of the kids singing their songs, Levi receiving his certificate for completing this year and his bucket of goodies from the teachers. 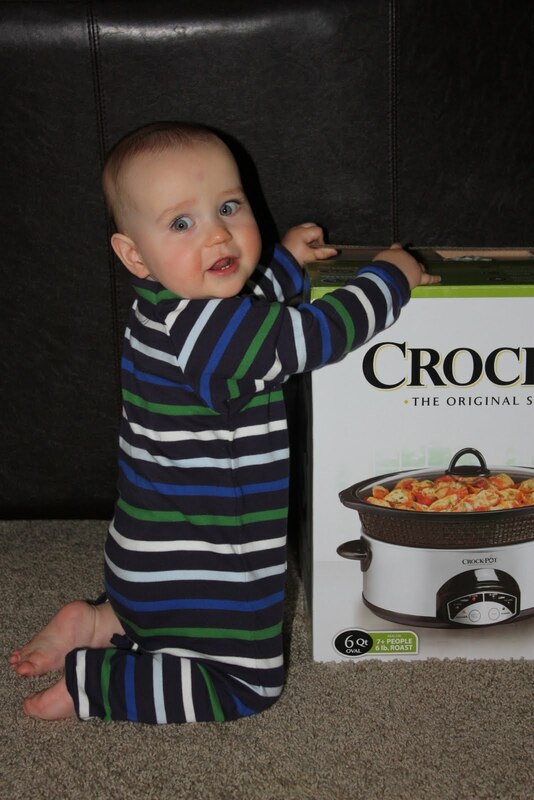 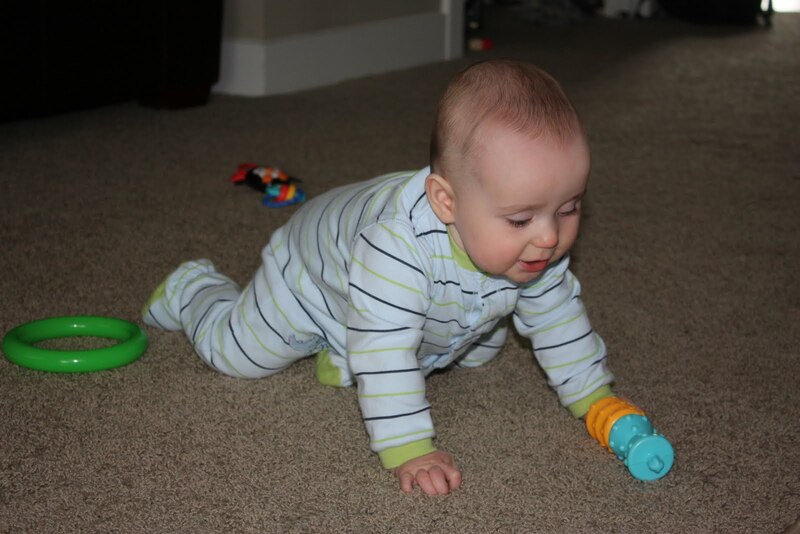 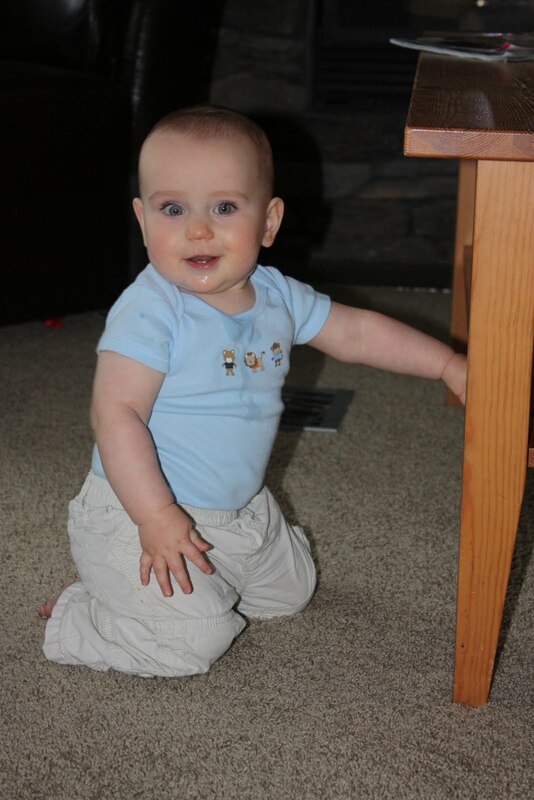 Shortly after Zack discovered crawling, he thought he would move on to more difficult maneuvers. 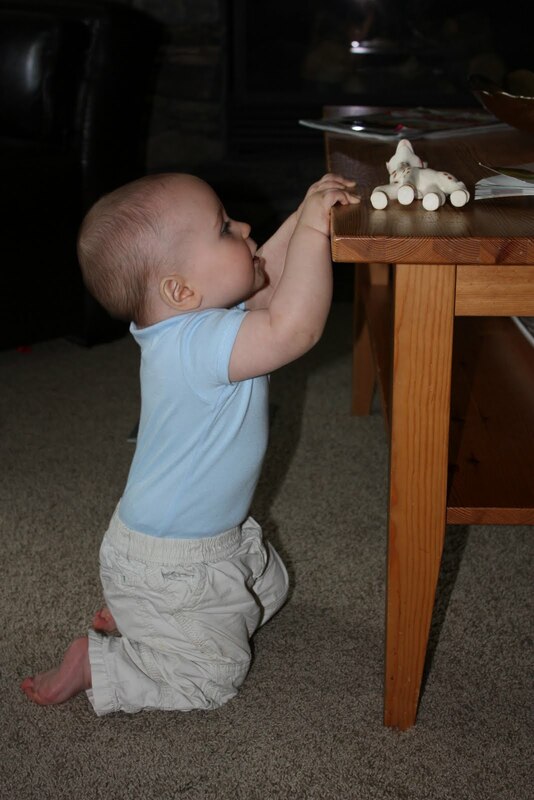 He now pulls himself up onto anything he can reach, tables, chairs, boxes, his crib, everything! Thankfully he is only going up on his knees so far, he's going to save pulling up to his feet for next week!! 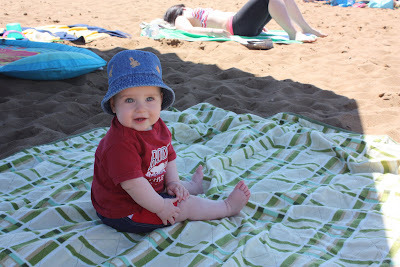 It was a beautiful day, so we went to the beach for the first time this year. 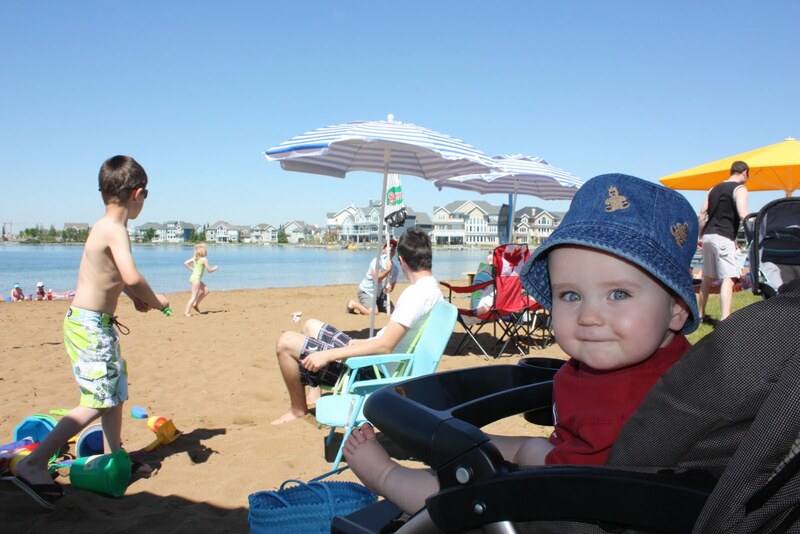 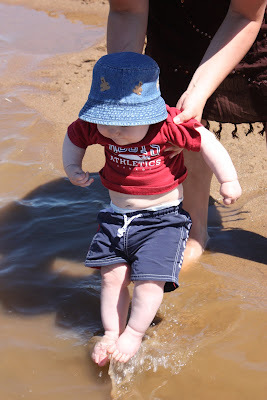 This was Zack's first time at the beach and the first time sticking his toes in the sand and water! 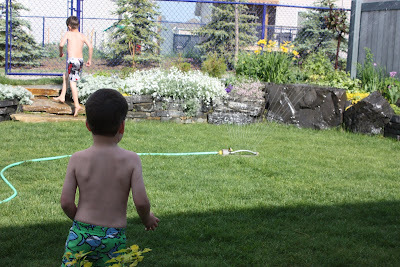 I wish we had more hot days like this!! 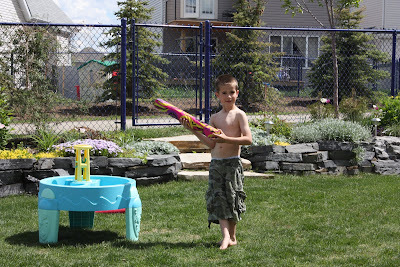 Finally a day warm enough to go outside and enjoy the sunshine. 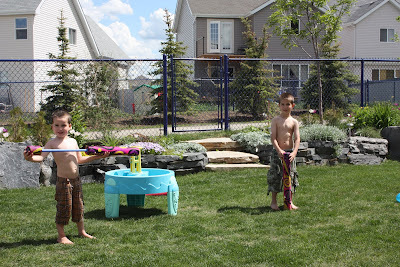 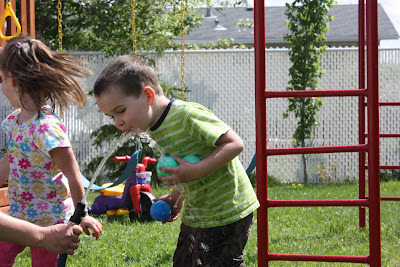 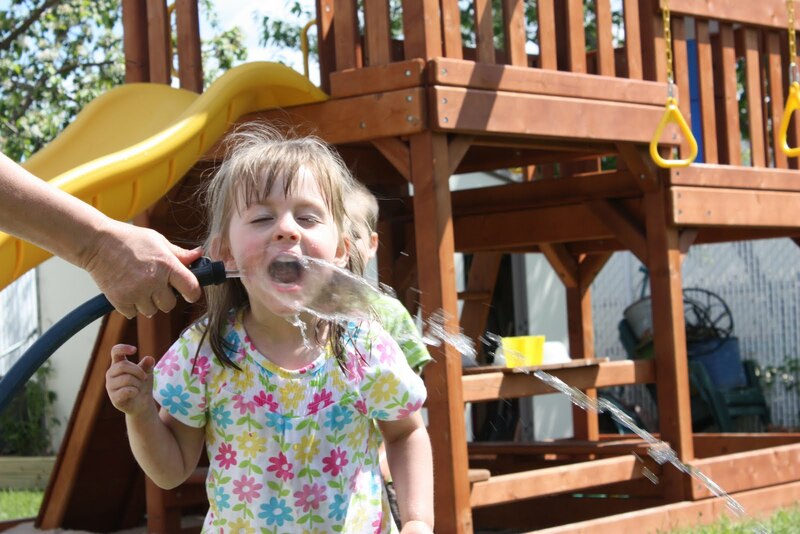 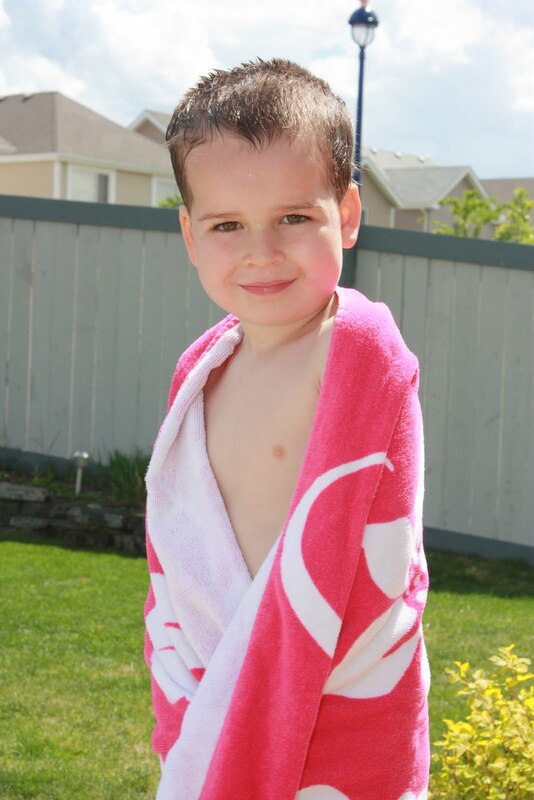 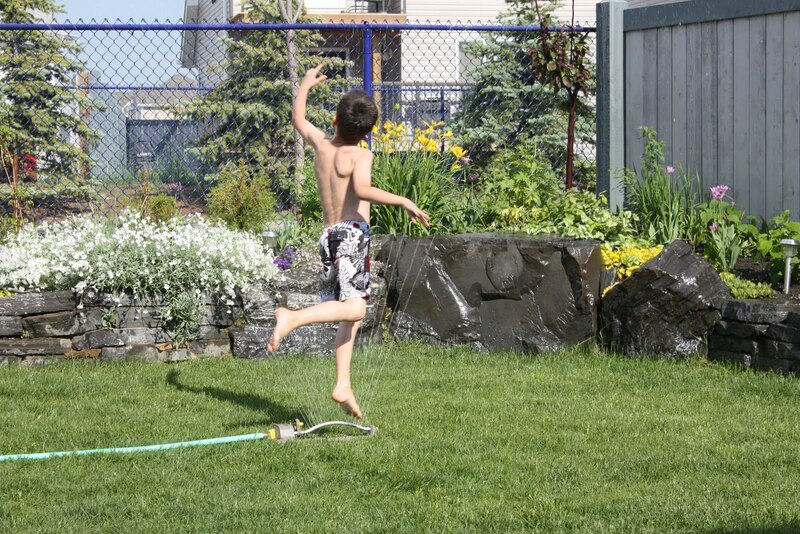 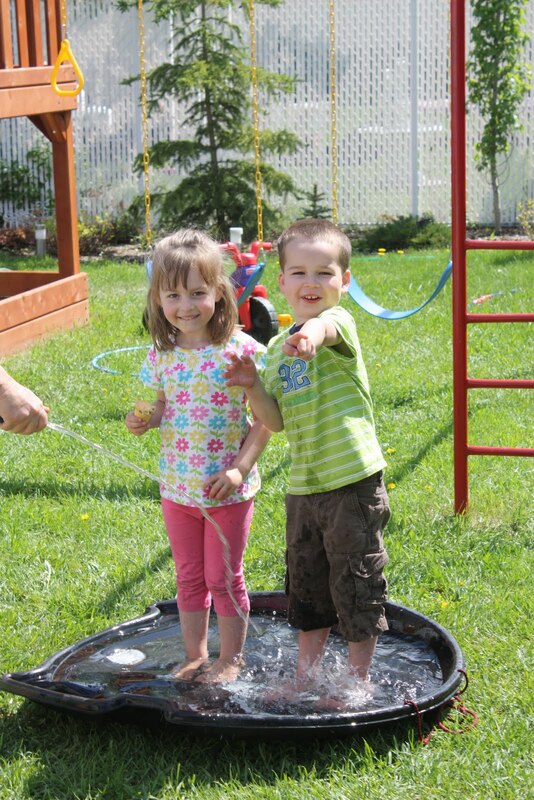 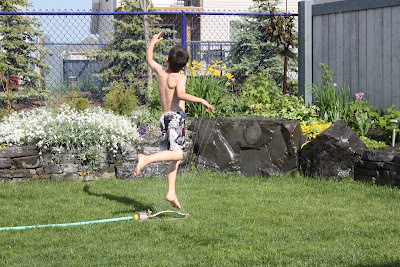 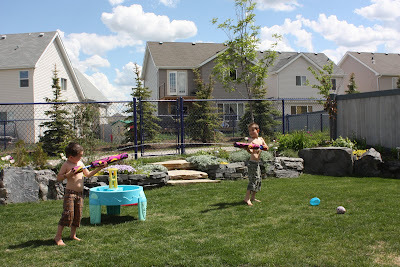 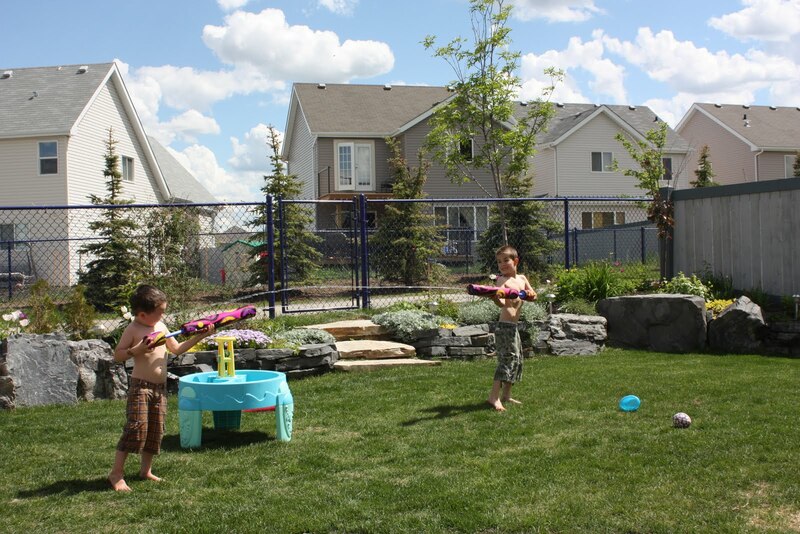 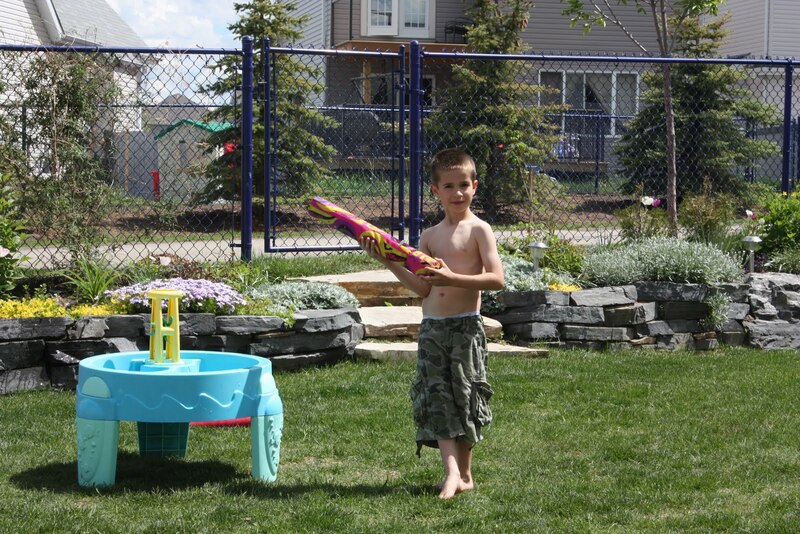 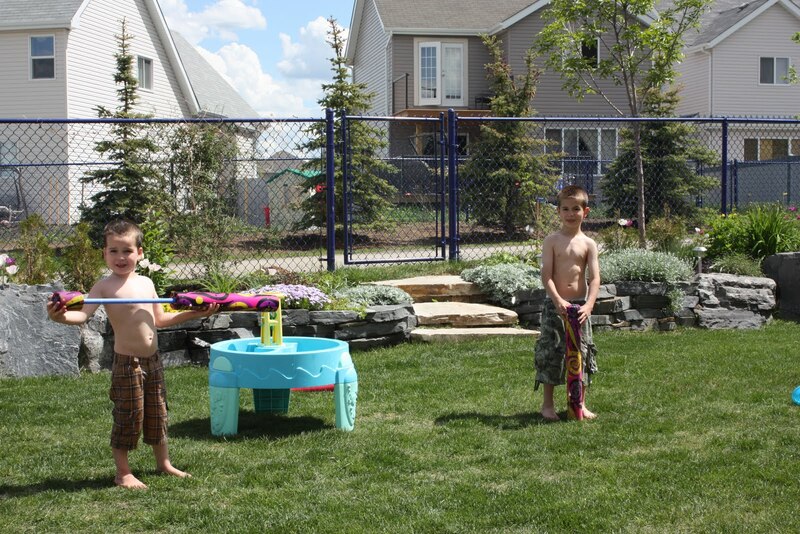 And a little fun in the backyard with some water guns! These last few days, he has been doing the army crawl and is getting pretty good at it. 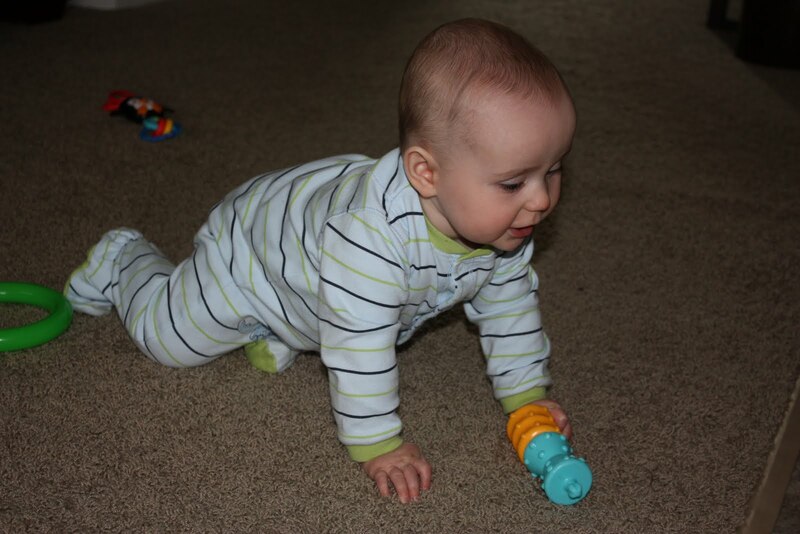 Now he has started to get up and actually move a little on his hands and knees. 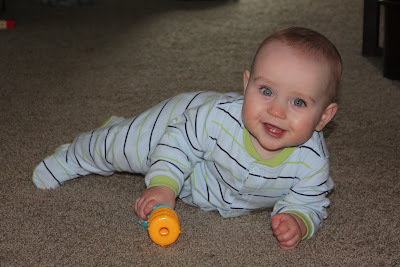 It won't be long and he'll be all over the place! 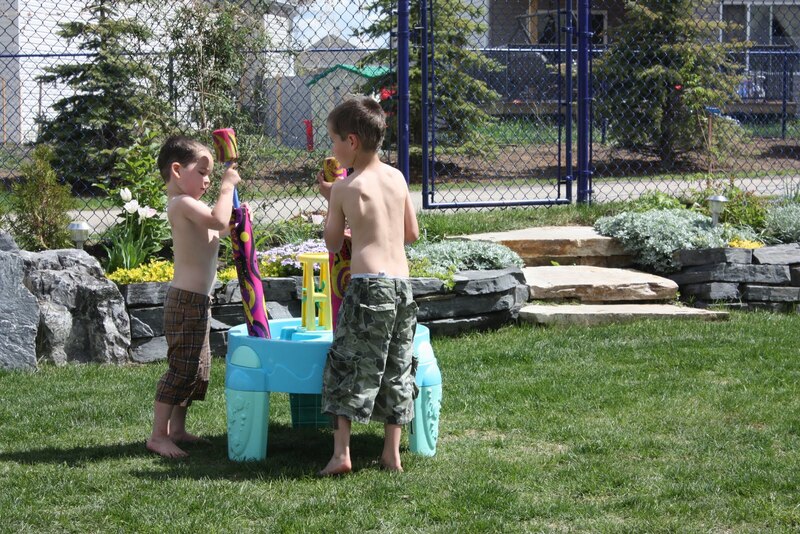 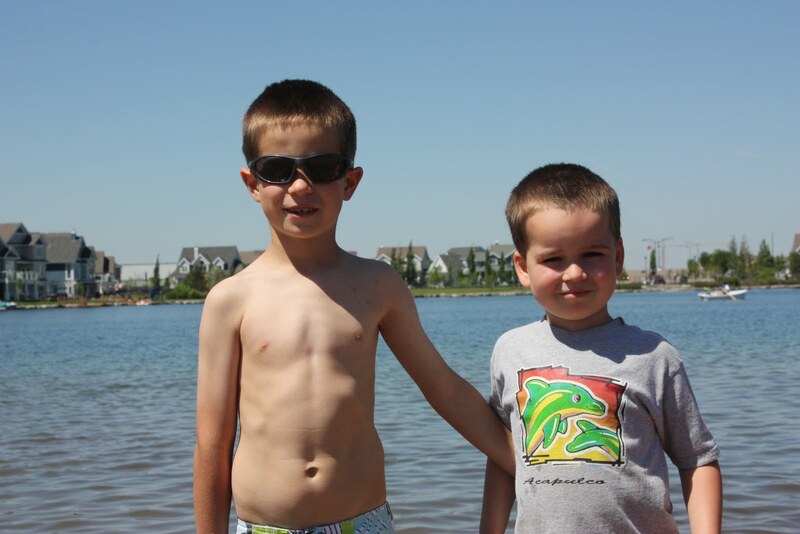 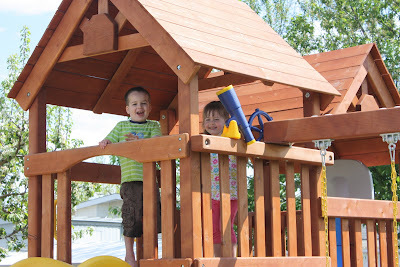 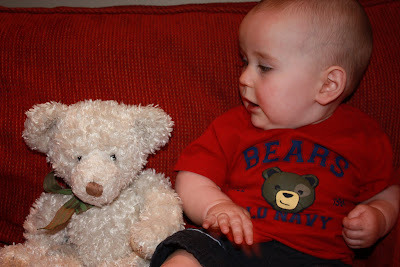 Last week, Levi and Jaden had a little play date together. 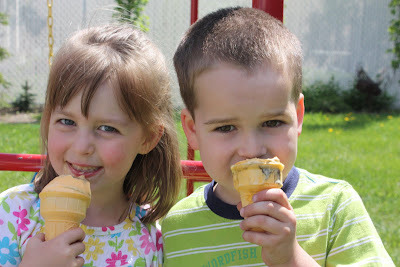 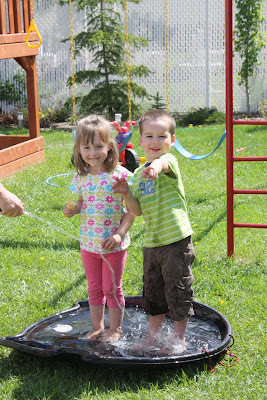 They had so much fun, playing, giggling, eating ice cream and splashing in the water!